Kojagari Lakshmi Puja is dedicated to Goddess Lakshmi — goddess of wealth and prosperity and is observed mainly in Bengal , Orissa and Assam. 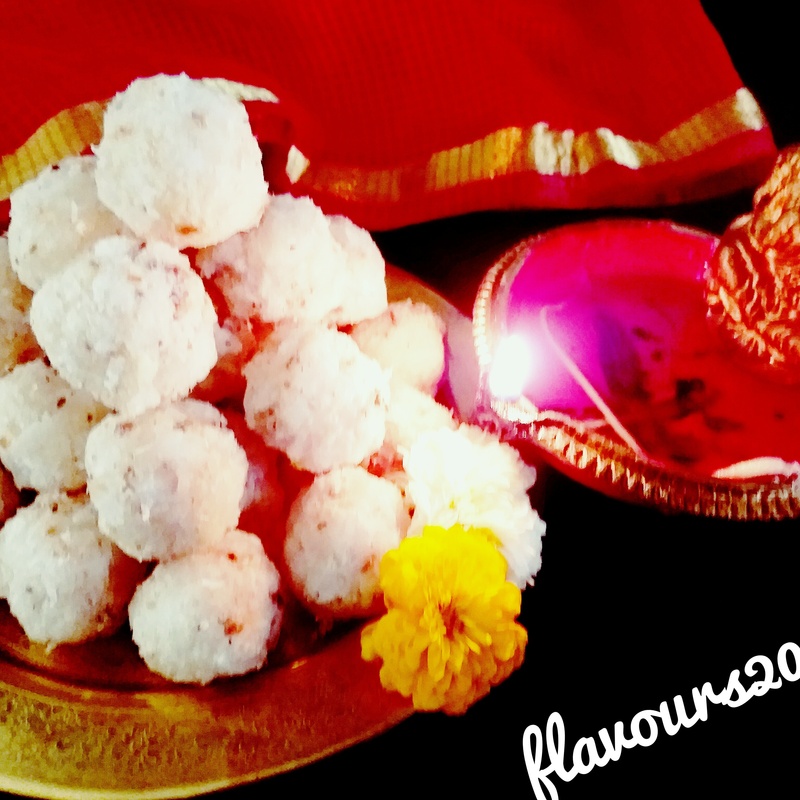 Thought of making some narkol naru ( coconut ladoo) in this auspicious occasion. 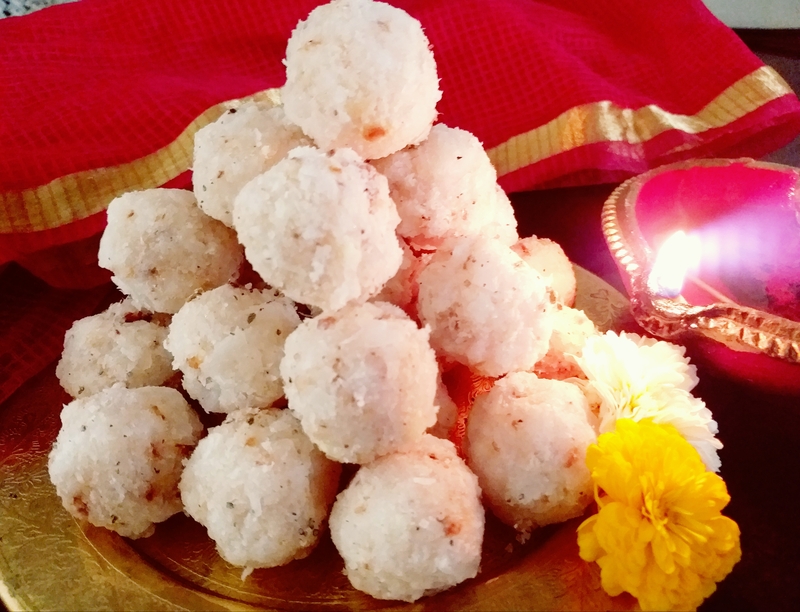 This is a special full moon day –and generally women observe fast whole day and offer special dishes with utmost care and purity to the Goddess Lakshmi in the evening . Scrape and grate the coconut, I have used blender here. 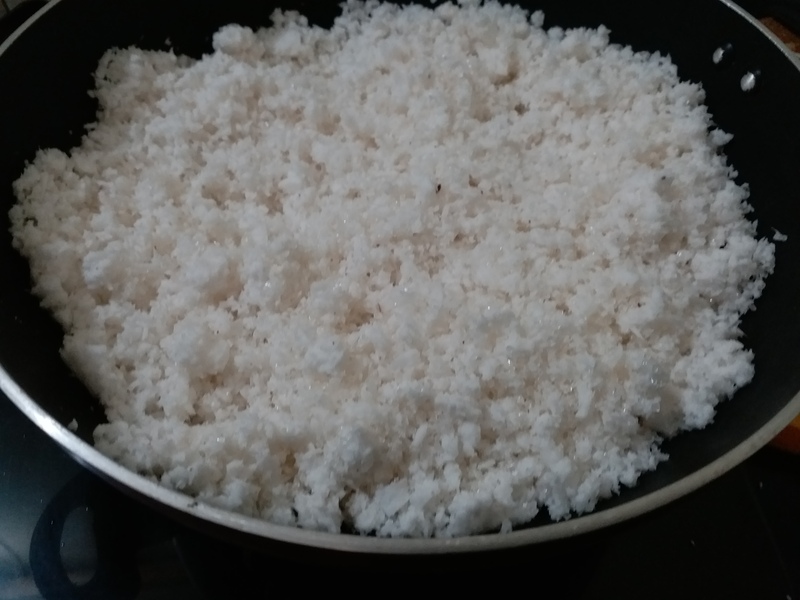 Heat a deep bottomed non-stick pan, and transfer the korano coconut, milk powder and the sugar and stir. Continue to stir till the mixture becomes sticky, and you can make a ball from the mixture. Now turn off the oven and transfer the mixture to a flat surface. Start making round shaped balls and it has to be done while the mixture is hot . The trick here is that you can keep a bowl of normal water in a bowl and use it to wet your hand while making the balls — it will ensure that your hands don’t get burned.